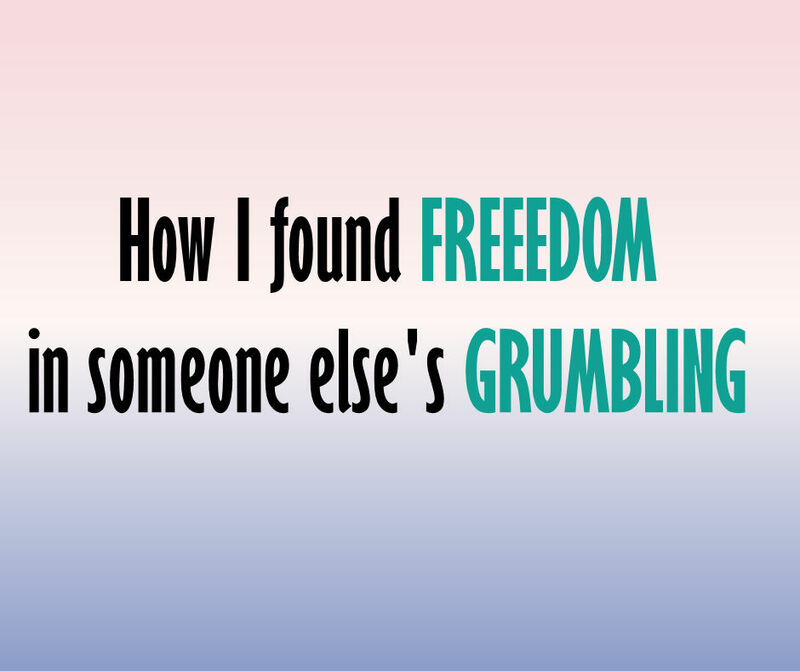 This is the story of how I found freedom in someone else's grumbling... about Beth Moore. Who doesn't like Beth Moore? She is witty, funny, kind, and excited about God's Word. One of my most freeing moments as a writer/teacher was in a Beth Moore study. Let me be specific, because I've had a lot of freeing moments during Beth Moore Bible studies. My many moments include learning how shame had kept me prisoner for years , and how God really had forgiven me even when I could not feel it. The freeing moment I was referencing earlier didn't actually come Beth, but through the several women who were grumbling during her study. Before I share that experience let me tell you what Beth Moore's ministry has meant to my life. It's no coincidence that God led me as a young 24 year old new mother of twins to Morning Bible Study at a different church than I was attending with my husband. Let me be clear, I initially started going to this particular Bible Study SOLELY because it provided free childcare, because I was drowning at home with twin infants. I had recommitted my life to Christ as an older teen after years of riding the fence between wanting to be a Christian and wanting to control my own life, but I remember the moment in a Beth Moore Bible study when I finally understood what true forgiveness was. I vividly remember the moment when I first heard Beth ,another Christian woman, admit to being sexually abused as a child, and then making sinful choices because of that abuse. I had never had another Christian women openly share this, and as it was my testimony, it touched me in the deepest part of my heart. I wasn't alone. I remember the moments when Beth made me laugh so hard I cried, then turned around crying over how the Holy Spirit led to a new beauty of scripture. I fell in love with Scripture in her studies in a way I didn't know was possible. Fast Forward: My home church had finally decided to do a Beth Moore video study. I was so excited because it had been several years since I had been able to participate in a Beth Study. The first video played, and it was like coming home. She made me laugh, she made me cry, she made me see truth in Scriptures. After the video we gathered back at our table, and I shocked as the next full 10 minutes was just half of the women complaining about how much they didn't like Beth's speaking style. It was literally the first thing out of a woman's mouth as we sat down, remarking "I am really struggling to learn anything from her." At least 3 other women jumped in relieved and described how they were struggling with learning anything from Beth because she was so "loud". Not one person spoke about the content of what she said for a full 10 minutes, but I do remember they asked, "Why did she have to yell all the time?" And why couldn't she just sit still and not have to roam around the stage? They claimed she was too distracting. They rationalized how it was hard for them to be "spiritually fed" from someone who they didn't enjoy watching. I was speechless, and if you know me, you'll know that's a pretty big deal. Beth Moore, a woman who was a long-distance spiritual Mentor in my life, was being torn down in front of me. Ladies, it truly broke my heart. I sat in silence as my heart was screaming, feeling protective as if someone was trashing your best friend in front of you (and yes I think Beth and I would be friends in real life). I couldn't imagine somebody not seeing the truths that the Holy Spirit had revealed through that video. Before the first women had stared complaining, I was in the process of wiping tears away from the revelations God had brought me through the teaching. Her loudness and movement was excitement for God's Word! My gratitude for The Word and the heartbreak at these women was overwhelming in equal measure. To understand my reaction, you need to know I am a loud person, and a talker. As I sat there listening to these women complain about Beth's volume, my years of insecurity that I was too loud started to creep up and threaten to strangle me. Every complaint they had about Beth could have been said of me. I had felt a call long ago to become a teacher of women, but how could anybody like me if they didn't even like Beth Moore? How could anybody listen to what I have to say if I'm also this loud annoying personality that no one likes? I was so shocked that it took me several minutes to regain my composure to finally ask the group, "Did you have any problem with anything she actually said?" Not one of them was able to come up with a single complaint about her content. God's still small voice reminded me in that moment of the many times I had gotten closer to Him in a Beth Moore study. Their dislike did not cancel out those moments. Their grumbling did not invalidate the tears of joy I had been crying only five minutes before during her teaching. Her loudness was a evidence of her joy in The Word of God, not a character flaw. In that moment God gave me a new freedom. I went home that day truly understanding for the first time that you truly cannot please everyone. There will ALWAYS be someone who doesn't like you, but everyone liking you does not equate to making an impact on God's Kingdom. 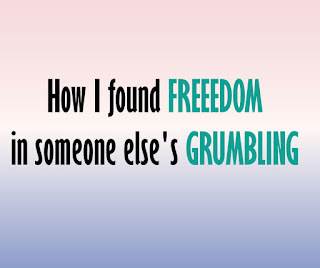 It was true freedom. I am not for everyone. Beth is also not for everyone, but she is for me. God designed this women who was excited to excite us loud girls. He healed her in the same ways I needed healing, then gave her the ability and platform to share that healing. Before that morning I had long felt a stubborn calling to work in women's ministry, but I just never felt secure enough to pursue that call. My deep rooted insecurity of people not liking me kept me from sharing truths I knew God had laid on my heart; truths a woman who had my similar testimony also needed to hear. I went home after this particular Bible Study and finally published my first blog post about my faith journey. My writing has improved immensely since those first posts, and I am somewhat embarrassed over them, but they were a milestone for me. All my posts have a typing or grammar mistake because I think faster than I type, and I write too many run-on sentences, but I needed to start writing, and sharing, how God had healed me. Within a few weeks, I asked my pastor if I could start a women's fellowship team at my church. Since then I have also been the speaker at our church women's retreat and recently I've spoken at a few local women's groups about how God has worked in my life. I'm also currently writing a book about how Satan attacks Godly Female Relationships. I'm sharing my story. So I guess I need to thank those women who grumbling about how loud Beth Moore was, because you gave me a gift. I hope to one day be like Beth Moore, to share my testimony to bring other people closer to Jesus. And you bet when I share that, I'm definitely going to be loud.